In Arisaig - A Stranger from Argyll - I Explore the Prince's Cave -The Islets in Loch nan Uamh - I Set out for Moidart - The Black Loch among the Hills - I Arrive at Loch Ailort. 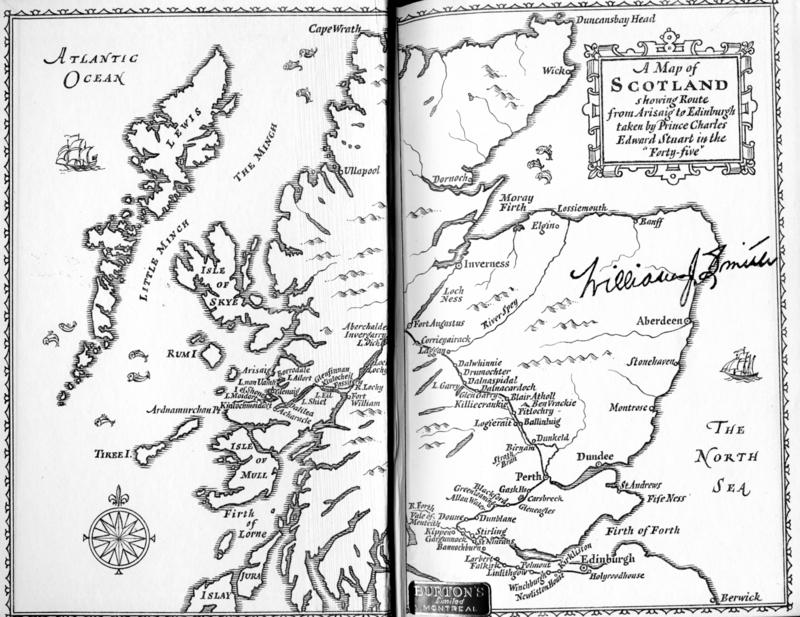 The Scot from London - The Adventure of a Stag Evening in the Inn - Highland Evictions - I Sail down Loch Ailort - The Silent Mansion - A Lonely Village - The Chapel by the Shore - "The Eight Men of Moidart" - The Pass of the Rough Rock. Shelter from the Storm - A Night with Wat the Wanderer - Dawn at Loch Moidart. I Leave Kinlochmoidart - How News of the Prince reached Edinburgh - To Dalilea and over the Marsh - The Cottage by the Shore - A Lodging for the Night - John Campbell of Acharacle. The Drowning of Duncan Malcolm - The Man who did not Believe in Second-sight - The Mystery of the Illicit Still - In an Old Highland Cottage - The Priest of Moidart. An Invitation - Shelter at Castle Tirrim - The Blood in the Dungeon - John of Moidart - The Thrust of a Dirk in Arisaig - To the Island in a Rainstorm - The Kinlochmoidart Bagpipe - When the Devil came for Donald. On Board the Clanranald - A Great Gaelic Poet - The Green Isle of St. Finnan - The Coffin on the Floor - I Reach Glenfinnan - Gregory's Mixture - The Truth about the Notorious Jenny Cameron -The Chapel on the Hillside. 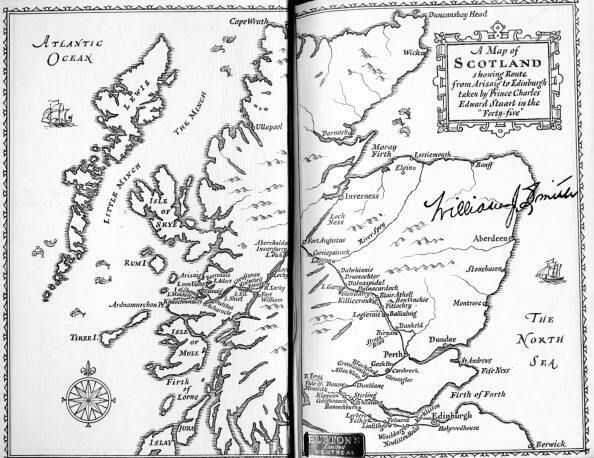 On to Lochaber - I Lunch with a Road-mender - The Lonely Glen - By the Shore of Loch Eil - The Flesh-pots of Fort William - Around the Fire with Commercial Travellers - In Quest of Ben Nevis - The Stranger and the Stuarts - Seven White Roses. Neptune's Staircase - On Board a Trawler from Lowestoft - The Keppoch Bard - I Sail up Loch Lochy -Sir. Ewen Cameron - A Hot-tempered Chief - Tinkers de Luxe at Invergarry - The Man who saw a Water-Bull - Forward to Aberchalder. Fort Augustus - At the Monastery Door - The Bearded Monk - In the Catacomb Chapel - I Meet the Father Abbot - Dinner with the Monks - The Corridor of Silence - Poverty, Chastity, Obedience - A Talk with Father Cyril - The Peace of the Cloister - I Sleep in a Monk's Cell - The Man from Cambridge - In the Sacristy with the Father Prior - On the Monastery Tower. I Leave for the Corrieyairack Pass - From Glen Tarff to Lagan a Bhainne - The Barrack-master's Daughter - A Shepherd in the Hills - The Summit of the Pass - Down to the Spey Valley - The House at Garvamore - Tea in the Kitchen - A Stormy Evening - The Light on the Hillside. With the Road-engineer - Anne Grant of Laggan - The Man at the Churchyard Gate - I Visit the Minister and Leave for Dalwhinnie - The Pass of Drumochter - The Solitary Woman - On to Blair Atholl. Gaelic and English - The Reluctant Atholl Men - The Landscape-garden of Scotland - I Rest Beside the Garry - Through the Pass of Killiecrankie - My Flight from Pitlochry. South by the Tummel - The Minister in the Motor coach - Queen Victoria's Hotel - At the Smoking room Fire - A Great Fiddler - Millais and the Carpenter - The Deer-stalker's Point of View - In the Old Cathedral. Below the wood of Birnam Hill - The Chantrey Bust of Sir Walter Scott - I Arrive at Perth - The Cobbler's Story - Ships on the River - The Bandy legged Smith of St. Johnston - The Sheep-farmer from Ross-shire - Early Morning at the Ram Sale. Land o' the Leal" - The Girl in the Motor-car - Down Strathearn and past Carsbreck - "Jessie, the Flower o' Dunblane" - I Obey an Impulse and Make for Doune. The Old Coaching Inn - The Earl of Moray's Meal Mill - I Explore Doune Castle - The Prince at Old Newton - Beside the Loch of Watson - I Cross Kincardine Moss and Meet the Most Fervent Jacobite in Scotland - Over the River Forth. 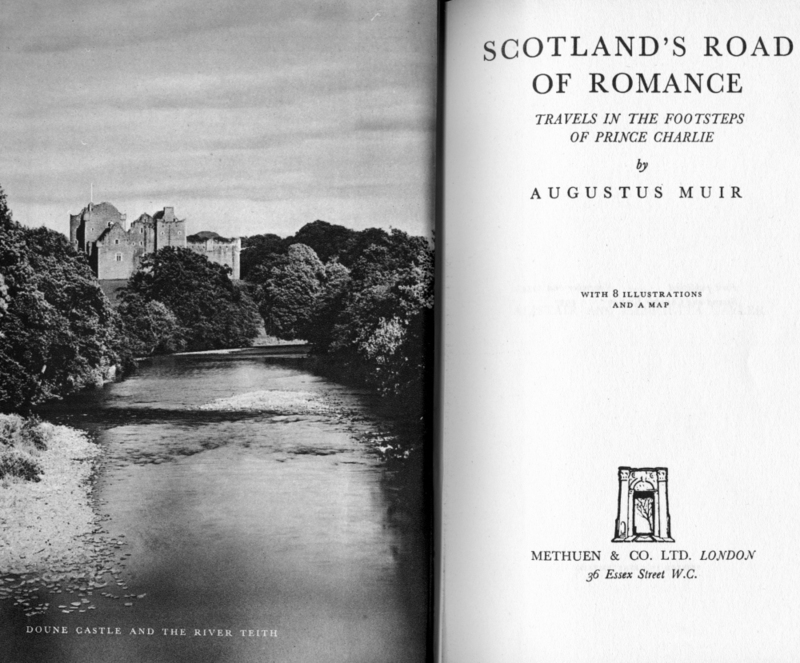 The Man from Sutherland - A Cottage at Gargunnock - Twilight in the Vale of Menteith - Forward to Bannockburn - The Old House at Larbert - The Shepherd in Falkirk - Through the Gap in the Roman Wall - A Night Attack - Dusk in Linlithgow Palace Grounds - I Sleep in "Dreamthorp" - The Murder of the Regent. Stairs - I Cross the Boathouse Bridge - Sham-English Houses in Scotland - I Arrive at Gray's Mill - The Edinburgh Comedy - A Scots Minister's House on the Sabbath - The City from Arthur's Seat - The End of my journey.